WE HAVE THE BEST PRICE ANYWHERE! "CLICK ON THIS VIDEO TO SEE THE OPERATION OF THE MURPHY BED!" "CLICK ON THIS VIDEO TO SEE THE SET UP OF A MURPHY BED!" 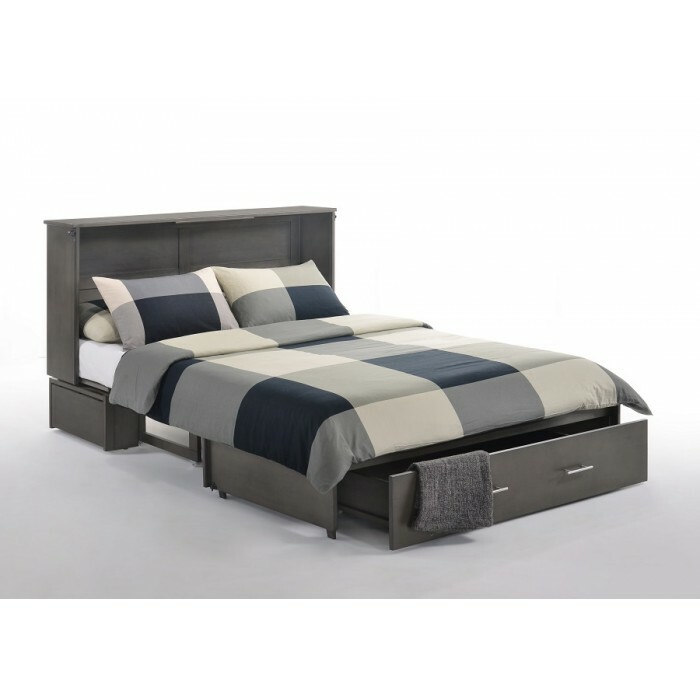 Our Graywash Sagebrush Murphy Cabinet Bed is a truly instant guest bed. 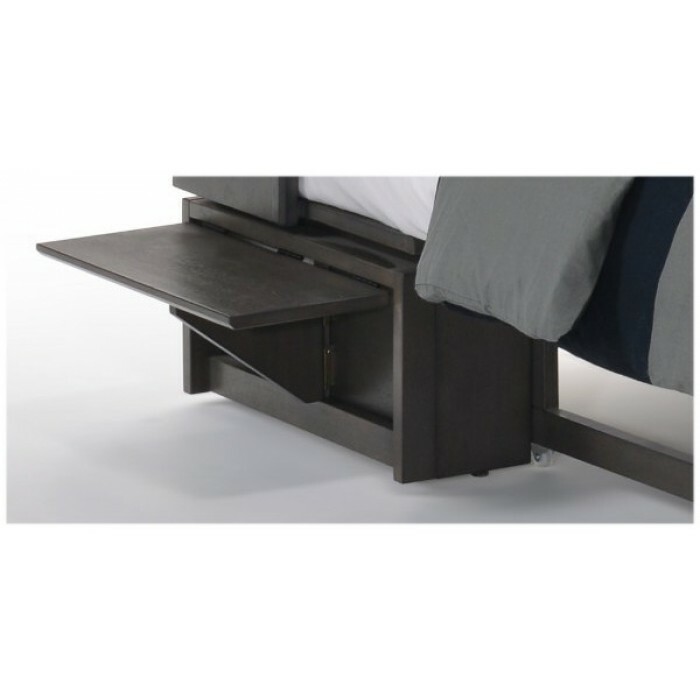 Convert it from handsome cabinet to comfy bed in less than a minute. When closed it takes just 10 square feet of floor space. Easy to use, easy to love. Our low discount prices INCLUDES a premium tri-fold 6" Queen Size Gel Memory Foam Mattress. 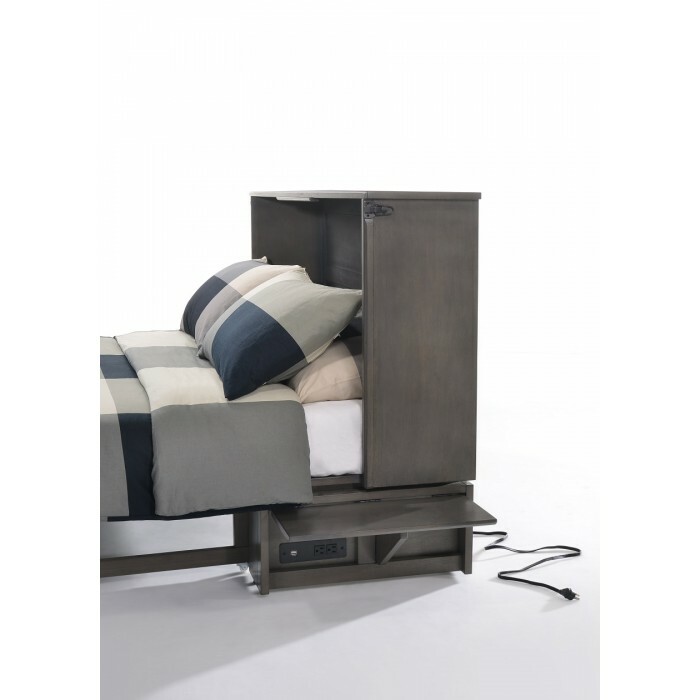 The Graywash Sagebrush Murphy Cabinet Bed also has a built in dual-power/USB port for your electronics. 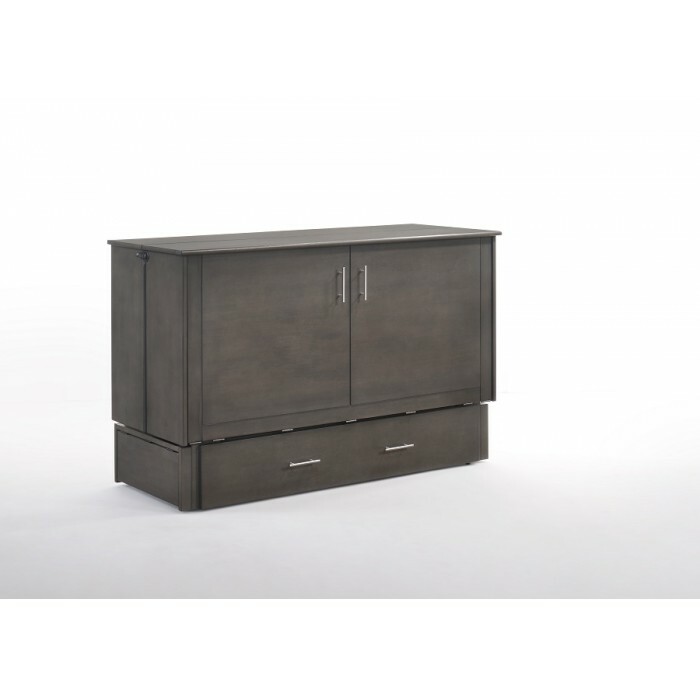 The Graywash Sagebrush Murphy Cabinet Bed measures 63.5L x 23.7D x 41.1H in the cabinet position and 63.5L x 83.1D x 41.1H in the bed position. 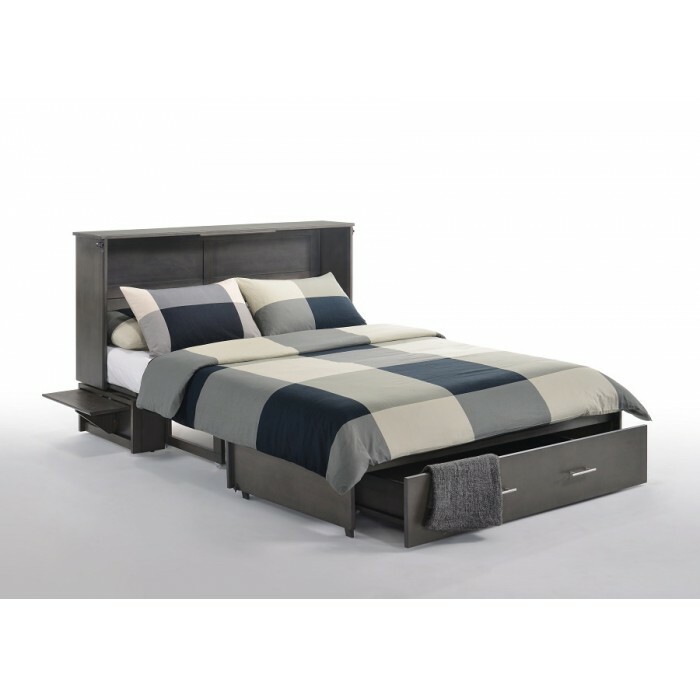 The Graywash Sagebrush Murphy Cabinet Bed comes with a limited 10 year warranty, and the tri-fold mattress comes with a limited 3 year warranty. *Not good with any other discount or rebate.